Marketing is an industry that is constantly changing, especially since technology does the same. If you think back to what your day looked like even five years ago, it will likely have little resemblance to the work you've already done today, or how you're doing it. Despite that, there are still some best practices that are as powerful today as they ever were as far as content marketing is concerned. Along those lines, there are a few key content marketing best practices that you're going to want to double down on as 2017 fast approaches. In today's digital climate, the importance of writing content for people first and search engines second cannot be overstated enough. Google has made some massive changes to its algorithm in the last year that favor quality, well-written content above all else. 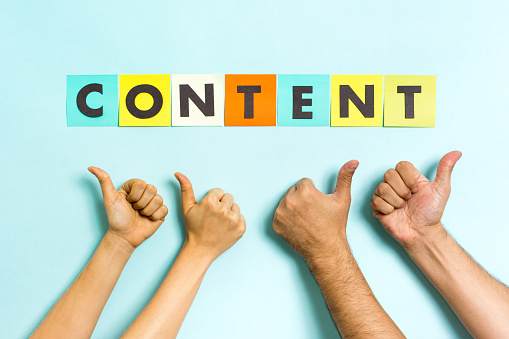 Google, Bing, and more have all placed a strong emphasis on making sure that content is king. As long as you create your marketing collateral with that in mind, these companies have promised to make sure that you're taken care of regarding search engine rankings. Focus on helping people. Try to provide insight and provoke a response. If you craft your campaigns with these simple goals in mind, everything else will fall into place. None of that is to say that SEO, in general, isn't necessary. Just make sure that when it comes to content marketing, you're not trying to stuff in as many keywords as possible. Instead, shift your SEO efforts to other areas, like making sure that you're updating your content regularly, that it has all of your (correct) contact information, and that you're promoting yourself through outlets like social media. Remember that blogs are a powerful tool in the content marketing game, but they're not the only tool you have to play with. Things like newsletters, eBooks, and user guides are all an excellent way to reach your target audience in fun new ways. Visual materials like infographics, charts, and even videos are also a great way to bring the visual element that you're known for into the content marketing arena in a powerful way. Many people use customer personas to help guide their marketing campaigns, something that is especially helpful when it comes to content marketing. Something you cannot forget to do, however, is to update these personas on a regular basis. Think about how much your business has changed in the last year and understand that your ideal customer has probably changed just as much. Use the new year as an opportunity to re-evaluate your existing buyer personas so that you can always keep your eye on the prize, so to speak. A new year brings with it the opportunity to start fresh, but that doesn't mean throwing the baby out with the bathwater. Embrace new techniques, but also never lose sight of the old saying of "if it ain't broke, don't fix it." Some content marketing best practices are certainly not broken, and those solid techniques are what you can be doubling down on in the new year.